An ancient secret emerges to terrify and destroy. Three people join together to destroy the cult that possesses the secret. Grace DeRosa, a gifted research chemist finds a hidden spring in the woods near Salem, Massachusetts. She discovers that the consumed water imparts unique and fearful powers that lead to the ability to read minds, create terrifying mental pictures and force the user's will on others. Grace, her husband and their seventeen year old daughter, Crissy find they have frightening new powers that allow them to hear people's thoughts, give them visions and change behaviors. The powers affect each differently. Crissy's father turns against his wife and daughter and tries to kill Crissy to protect the secret. Clay Foster, a former Navy Seal saves Crissy from drowning in Lake Michigan's icy waters where her father has pushed her. Clay and his friend, Sharon take Crissy into protection. After several fights with the Coven, they escape to Bermuda, where the Coven again attacks them. 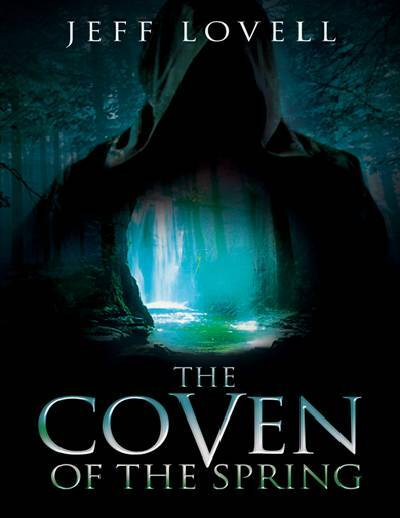 Along with Crissy’s mother, they return to Salem for the final confrontation with the The Coven Of The Spring.